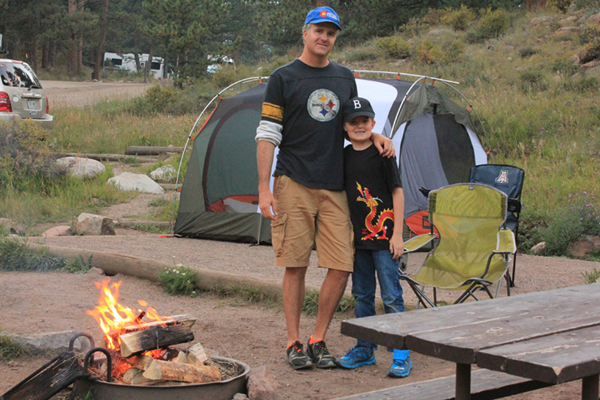 Did my first 1:1 camping with Johnnie this September (2014) and we had a great time. I wanted to go as high as possible in Rocky Mountain National Park, but it was kind of a chilly weekend so we opted for Moraine Campground which is pretty low. It was a great evening, and Johnnie had a blast lighting his first campfire, and gorging on Smores. The moon was almost full and we saw lots of Elk, and wildlife!